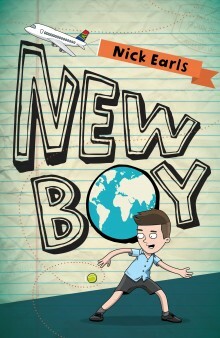 Yes, it’s true, Nick Earls is one of my very most favourite authors 🙂 no matter if it’s kid lit or adult fiction. 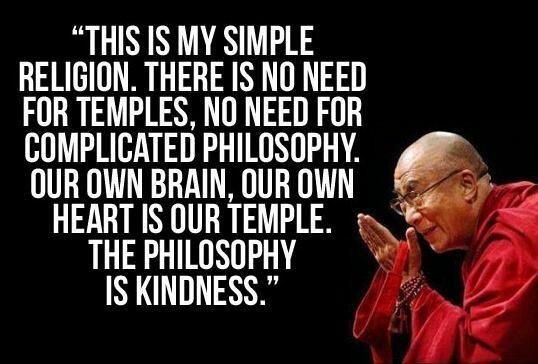 Aside from that, he is such a lovely human and very funny. When he graciously did a Q&A for my blog last year, one of the things we discussed was his arrival in Australia from Ireland as a child. Nick talked about the aspects that he found a little strange coming to a new country. He has taken that personal experience and projected it into terms that children today can easily embrace through the story of one boy’s experiences as a newly arrived immigrant from South Africa. Herschelle is a pretty typical boy who has left mates, sport, school and a fairly frightening environment behind when his family move to Brisbane. He soon realises despite his research of Australian slang and customs, in order to fit in, that he doesn’t – at all. With his ever present humour, Nick takes the reader on Herschelle’s journey into acceptance via his struggle with bullying and racism. It is this humour that takes the edge of some pretty intense concepts and puts this in terms with which younger readers can readily identify from their own playground observations. Along with his designated buddy Max (of whom Herschelle initially suspects total nerdism) , Herschelle takes on the challenge of assimilating into his new surrounds and most notably his new school, One Mile State School. When the burgeoning friendship is jeopardised by Max’ apparent collusion with the school bully, Lachlan, Herschelle is all the more convinced he will never become part of the Australian fabric. After the ongoing persecution from Lachlan comes to a head and the principal steps in, Herschelle realises both that racism is not manifested in just one way and that bullying can be invisible to others, as he finds out that Max has also suffered at Lachlan’s intimidatory behaviour. The two boys are back on track and find themselves well placed to ‘buddy’ another ‘new boy’ when Roy arrives at the school. A refugee from South Sudan, Roy’s experiences provide even more enlightening revelation to the two friends. This is an important book to promote to your readers and with Refugee Week fast approaching, would be a perfect vehicle to convey the important messages of acceptance and unity. With this second novel, Nicole Hayes has absolutely confirmed her talent as a quality writer for young adults. We are all too aware of the intense scrutiny under which our politicians are placed – and often, rightly so – and the accompanying media feeding frenzy which generally accompanies this, but how often do we give thought to the effect of all this on a public figure’s family or children? Hayes has taken this idea and crafted a stunning story revolving around Frankie (Francesca) Mulvaney-Webb, daughter of the Victorian Premier, Rowena, who has stepped up into that position and is now running for election to confirm her post. Amid considerable antipathy from some quarters about having a female state leader, Rowena is subjected to a vilifying media campaign over her connection with an unknown young man. Woven into this fabric: Frankie’s new friend (potential boyfriend) who is a dedicated amateur photographer, who has unwittingly provided the ‘evidence’ of this questionable relationship, her young brother and father who, like the rest of the family struggle to cope with the glaring spotlight and open “slur” tactics, her rather eccentric Irish grandmother who appears to be keeping secrets, Frankie’s indie band and her relationships with her best friends, all of which combine to impact on Frankie and her life in ways which would have many of us running for cover. Despite her life seemingly going completely pear-shaped, Frankie demonstrates strength of character which is both admirable and inspirational. 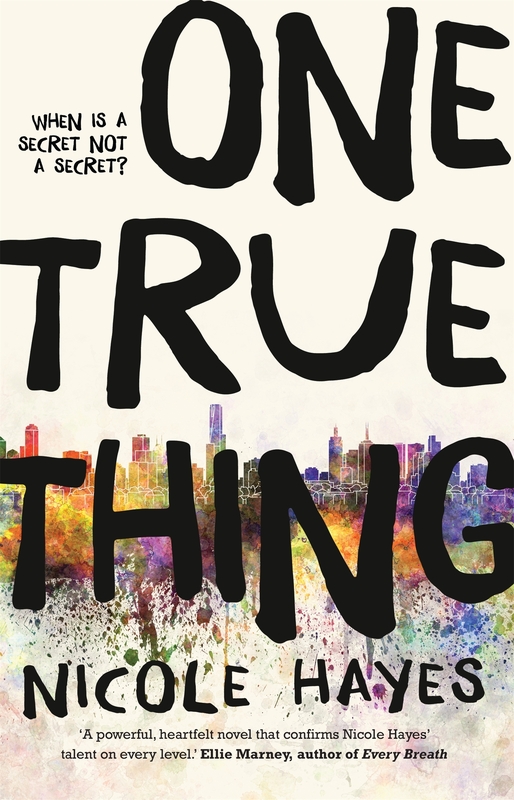 Strong female characters abound in this novel which makes it a must-read for young women as they also navigate their way to sometimes fraught teenage years. For those looking for novels which also deal with gay issues, this is a worthy addition to your ‘Rainbow’ collection as Frankie also deals with the developing gay relationship between her two best friends. Her difficulties in adapting to being a ‘third wheel’ would easily apply to many other circumstances and her struggle to bring herself to an acceptance with grace and warmth is a pattern for similar situations. Lending itself well to philosophical debates such as: when does the political become personal, when is a secret not ours to share, how does a family demonstrate its unity in the face of overwhelmingly opposition, loyalty, love and commitment to a cause, there will be much to unravel in discussions arising from the reading. An amazing book which demands to be consumed immediately, I know I for one will follow Hayes’ writing career with great interest. Highly recommended for readers, particularly girls, from around 13 upwards. Teaching notes can be found here. When I received my first copies of books from this series I road tested them on my grandson who is somewhat of a reluctant reader. In fact, he was staying at my place, picked them up and didn’t put them down until he’d finished each. To me that’s a pretty fair indication of how they will be received in your library. These latest two have gone to another young man who might enjoy them and I await his response eagerly. I know I’m pretty hopeless – I couldn’t get past 3 choices until I was exterminated so I hope he does better! George has cleverly taken all the great aspects of gaming and transformed them into book form where readers can challenge themselves to achieve the end goal. While primarily aimed at Middle Primary to Upper Primary these can be enjoyed by readers of all ages and certainly, if you have readers who struggle these would be a superb choice as the level of engagement and the appeal of the subject matter are perfect. Readers will persist with their reading quite naturally as they attempt to navigate their way through all the pitfalls of each story. Clowns are considered very sinister in our family so the Night of the Creepy Carnival is well named and I didn’t like being caught out by them at all! Aliens are marginally less scary but still enough to appeal to those readers who like a good safe fright. I remember so well how my own girls used to love the Choose Your Own Adventure format (especially the Famous Five series!) and think the timing of bringing this style of fast paced interactive reading back to the attention of a new readership is perfect. Highly recommended for readers aged around 9 and up. Do you have what it takes? Like so many other youngsters around the country, Noah and Ben live for their footy. They are both completely focussed on being the best players they can be in their provincial footy teams but also share a common goal: to be selected for the Bushrangers and go on to play the big game at the MCG. They are both prepared to put in the hard yards to achieve this by being rigorous with their training and skilling and always giving their best effort. Despite their similarities, their cautious friendship is marred by division. 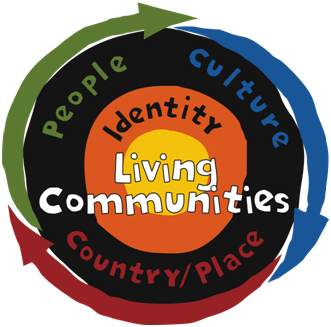 Noah comes from a solid and loving Aboriginal family, grounded in their kinship and supportive of each other and their culture. Noah plays for the Mavericks: a successful team who work as a team under the guidance of an experienced and wise coach. Ben, on the other hand, has only his dad and sister and plays for the Kookaburras (because he is made to follow the family tradition of doing so). The Kookaburras are a sloppy outfit with prejudices and favouritism rife in its ranks. It has not ever had a good name in the game. Michael Hyde achieves a wonderfully realistic and utterly believable cast of characters, each with their own voice as he explores this complex small town scenario. The boys are drawn together despite their team rivalry through not only their shared goal but also their growing understanding of being in the other’s shoes – or footy boots. With the kind of dramas one would expect in everyday Australian life such as death of a relative, teenagers struggling to find their own identity, dealing with racism and prejudices, bullying, establishing relationships with mates or girls, Hyde presents us with a view of this sport, which often verges on a fervent religion, as well as life outside the big city that gives real insight into these young players and their hurdles and their community. If you have not yet found the right book for a young person in your readership clientele, this might well be the one that flicks the magic switch. Both male and female characters are strong and resonant providing appeal to both boys and girls. The plot is well constructed and the important issues of racism, prejudice and bullying are handled deftly and with sensitivity. Highly recommended for readers from around 12 up. Last year when I had the good fortune of a blog Q&A with Colin Thompson, following the publication of the final book about The Floods, he told us about his forthcoming series called Watch This Space and after watching patiently, it’s arrived! 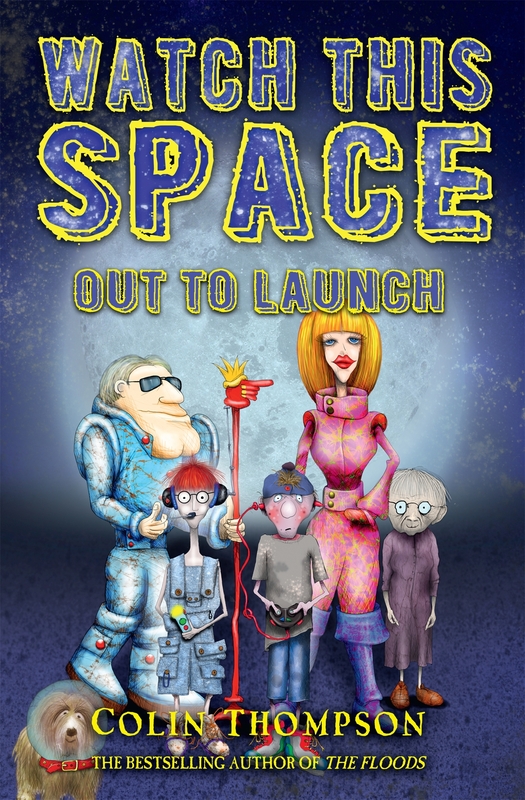 Out To Launch is the first in this new series which will foreseeably be every bit as popular as Colin’s previous bestsellers. With his very recognisable acerbic wit and uncanny ability to pinpoint the most laughable and ridiculous aspects of popular culture, Colin’s newest comic offering puts the spotlight on reality TV shows with superb results. He intends to send an ordinary family to the moon to live in a huge glass dome where they will be watched by the entire world. Sounds incredible doesn’t it? Amazing even!! What a concept it is for the ultimate in reality television and all planned to the last detail. Nothing could possibly go wrong. Except for choosing a family that is not really the ‘ideal’ for the project (The Contrasts: Stark, Laura, Primrose, Jack and Crumley the dog) with the throw in of a ‘fake’ granny, Apricot. And except for cutting corners on costs for essentials like a reliable rocket transport and a suitably protective glass dome dwelling. And except for underestimating the skills of 14 year old girls and elderly ladies. And more! Boys and girls from around 10 up, plus those of us who relish Colin’s very particular sense of humour will be very excited about this new series. The second in the series In the Pink is already in the works and who knows how many more to come? Highly recommended for readers from Middle Primary to Lower Secondary. How many have you read? Which books shaped you? Kevin Rudd’s Apology to the Stolen Generations in February 2008 was momentous for all Australians – both Indigenous and non-Indigenous. And it is critically important that we teach our children the significance of this in order to nurture the healing in a meaningful way and to promote a positive future for all our people. This beautifully written and illustrated book is destined to be a key title in this educative process for younger children as the collaborators (and long-time friends) transform the huge issues surrounding this acknowledgement of a dark time in our nation’s history into a story that even small children can readily grasp. Simon collects many beautiful things such as shells and feathers and fossils. When he is sent a boomerang as a gift to start a new collection, he immediately takes it to school to show everyone. The old newspaper in which it is wrapped becomes the focus of many questions as the teacher spots these words “For the pain, suffering and hurt, we say SORRY”. After the class’ discussion about this tragic history, Simon’s thoughts and dreams reflect his new knowledge. A dream of raining ‘sorry’ stones becomes a reality and the beginning of a new friendship, a new ‘collection’ of special stories and a new appreciation of First Australians’ past. Suzy Wilson, founder of the Indigenous Literacy Foundation, states ‘This book is a welcome and important addition to school libraries and bookshelves everywhere. It will provoke important conversations between parents and children, in classrooms and throughout the community’. 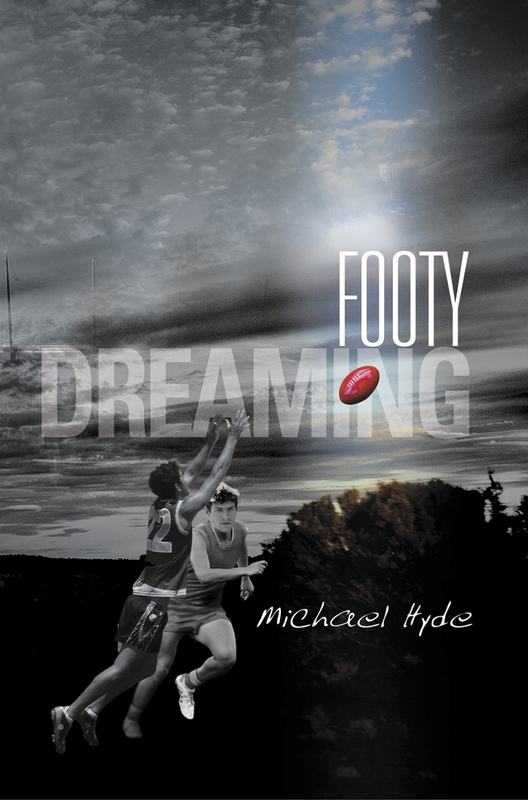 Australian of the Year, Adam Goodes, Michael O’Loughlin and the Goodes O’Loughlin (GO) Foundatio endorse the book and all royalties will be donated to the Foundation. Highly recommended for all readers, particularly younger Primary students, this is a must have for your collection to continue developing cross-cultural understandings. From the dynamic duo that brought us the Billy is a Dragon and Saurus Street series – much loved by your younger readers no doubt! 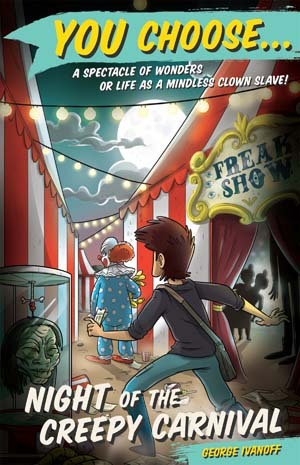 – comes this hilarious new offering with some extremely loopy characters. 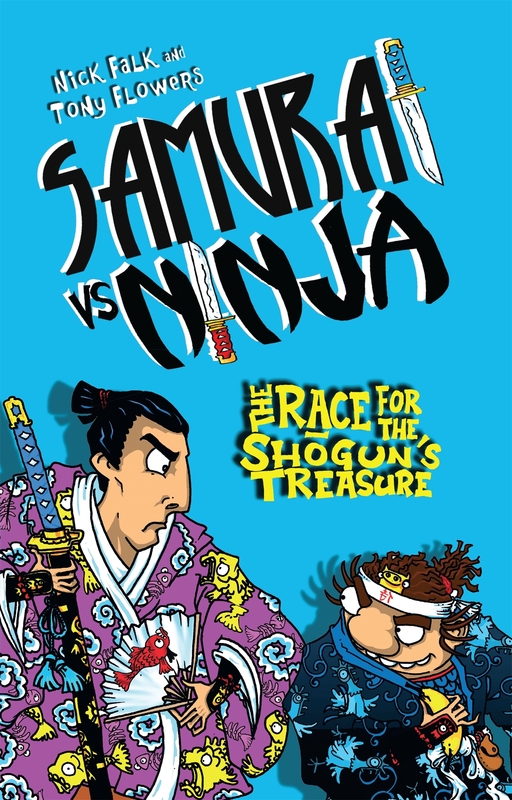 Full of antics and situations which will have huge appeal to those children setting out on their beginning chapter books journey; these stories relate the ongoing skirmishes between the rival ninjas and samurais with laugh-out-loud humour. Readers will relish moments such as ‘It’s raining ninja poo!’ and ‘..so she’d snuck into his room and put wasabi in his undies’. 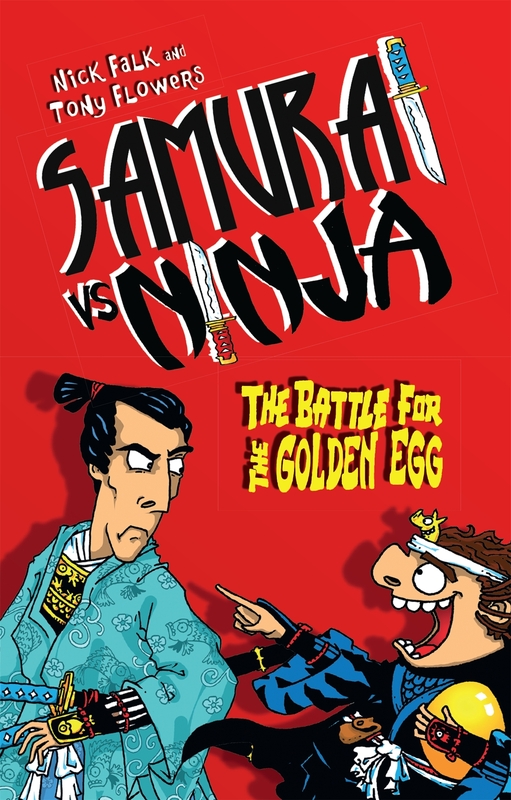 In volume #1, the crazy warriors are both angling for Japan’s greatest treasure – the fabled Golden Egg. Cheating and revenge tactics abound as neither team play fair. The #2 episode sees the manic factions facing off again when the Great Bear is stolen from Edo Castle and the shogun promises a great honour to whoever can find his prized possession. While written in a fashion that will draw in those newly independent readers there is a great opportunity to expand vocabulary including some Japanese language – ably explained in a glossary at the end of each book. Flowers’ cartoon illustrations are a terrific adjunct to readers with their speech bubbles adding punch to each punch line delivered. These are exactly the sorts of stories that could be the basis of some creative writing as students come up with their own wacky adventures for the Japanese crazies. 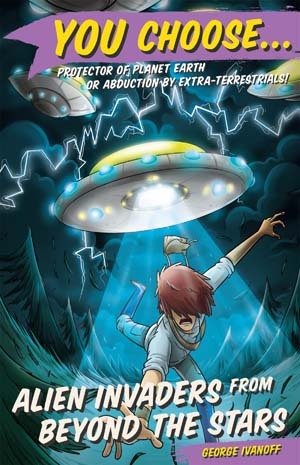 Highly recommended for younger readers aged around 6 and up. How timely that this beautiful new picture book from this talented Sunshine Coast author/illustrator should come my way just now when my family and I have been shown so much kindness from so many people. Described as a morality tale, the theme of Gregg’s new book is simply kindness and the power it has to change our lives. 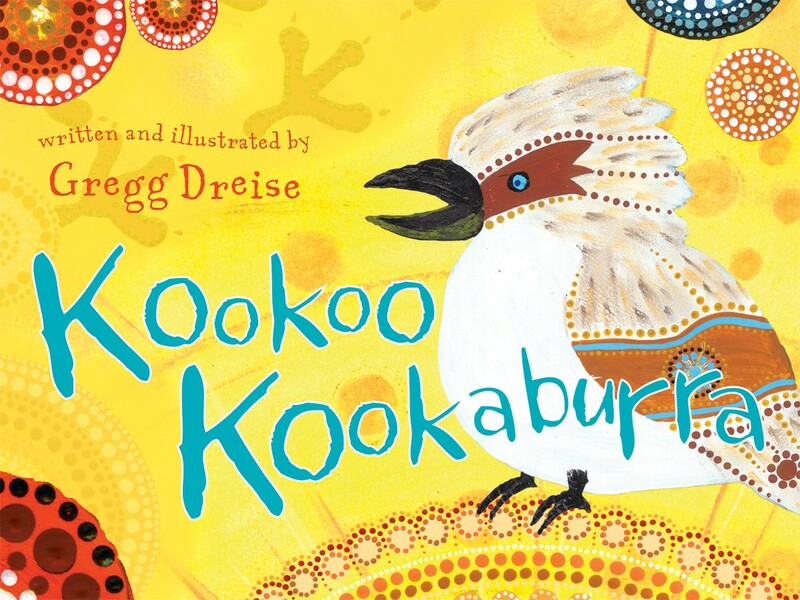 Long ago Kookoo Kookaburra lived happily in the bush and had many friends, who loved his amusing stories and and his gift of making them feel happy. But when Kookoo’s stories start focusing on teasing other animals and being unkind, the animals turn away from him no longer finding his tales funny. Wise old Uncle Googaguga gave him some good advice likening kindness to a boomerang and suggesting that he be mindful of how he spoke of others. Kookoo resisted the Elder’s words until he came to realise that he was so lonely without the companionship of the other bush creatures. Kookoo returned to telling stories that amused the other animals without making fun of them and once again his laughter rang out across the bush – and still does today. 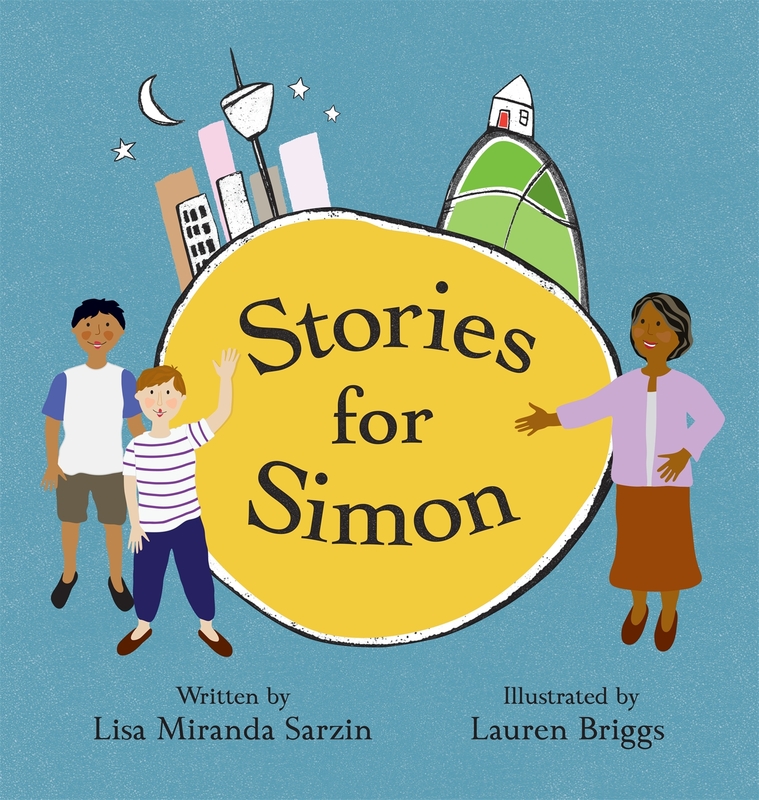 Written in a way which reaches out to the very youngest of readers, this will be a worthy book for sharing with children from Prep up and a wonderful way of promoting the concept of kindness to others in our daily lives. I was impressed with Gregg’s artwork in his first book Silly Birds (reviewed on Just So Stories last year) and am even more impressed with the vibrant illustrations in this new picture book. From the gorgeous endpapers to the beautiful full page paintings to the delightful accents on the facing text pages, this is a sumptuous visual feast throughout. I love this book and highly recommend it for your own library shelves. We do have holiday reading programs/incentives here but not quite in the same way I think…………As usual, a thought provoking post from the Book Whisperer..